The Pro Ears Ultra 33 is passive hearing protection that has the highest noise reduction and is highest rated model available. It is ideal for handgun users. 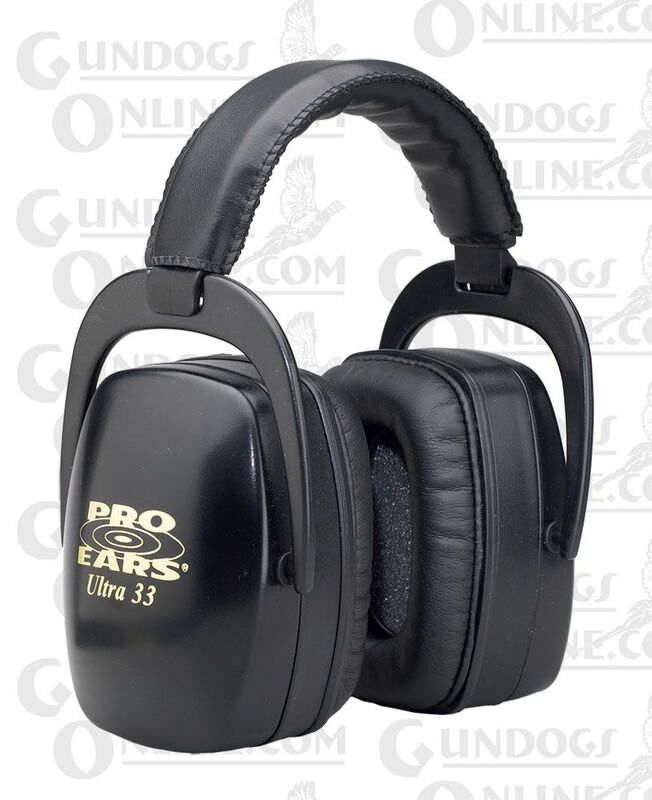 It comes equipped with an adjustable headband and padded, folding earmuffs that are lightweight and extremely comfortable. Every Ultra Series hearing protector comes with a limited One year warranty - perfect to give you peace-of-mind that you have purchased the finest made hearing protection available. Your Ultra Series earmuffs are protected against defects in materials or workmanship for one year from the original purchase date by a limited warranty. You can also call our customer support M-F 8 AM to 4 PM Mountain Time, to talk to a representative about any problem you may experience or offer suggestions on how to improve our products or service. You must contact Customer Service for a return material authorization (RMA) prior to returning your industrial hearing protection.